In the USA, 65 percent of couples stay together after infidelity is discovered and for many reasons. For some it is battered woman syndrome. For some it is weighing the benefits vs. the cost of dumping the bum. Here are some of the reasons that are relevant for wives who are married to powerful political figures e.g. Hillary Clinton, Huma Abedin etc. I invested almost 20 years of my life into my kids. I saw the life that we were going to have before “the event.” I saw the house that we’ve talked about building for years, I saw our future, I saw it all, and I couldn’t give it up. I got so used to the lavish and expensive lifestyle and it’s impossible to depart form it. It would mean no more bi- annual lavish vacations, simple weddings for the kids, moving out of our mansion and driving a Honda Accord. He knows that, and he makes sure to keep me addicted to this lifestyle. Since the ‘event’ was exposed, he won’t dear to miss buying me a custom piece of jewelry on my birthday. I live where ‘high society’ lives, I hang around with the rich and famous and that is not something I can easily give up. 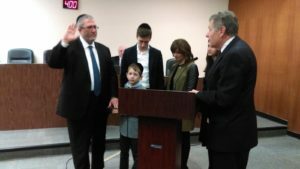 ‘Sara, why are you still living with this bum’ – M Lichtenstein is the most greedy, corrupt and perverted politician Lakewood ever had. Now that all know about the ‘event’ and he is a public figure, he will never do it to me again. Add on the fact that by now everyone has a smartphone with a camera and the word can get out really fast; I feel confident he won’t be able to repeat his offence. Over the course of a relationship, your friends become his friends and his friends become yours. Your social groups naturally end up forming one big social web, and you forget which friend was whose first at some point. The sad thing is, when you break up with someone, you sometimes have to break up with mutual friends too. I’m not quite ready to give up happy hours with the gals on the block, and some of my own friends could probably jump ship, too. He is a public figure. His financial and political career stands on our marriage and boy o boy he knows that. He knows that if I say good bye he is doomed for eternity (as he doesn’t have much waiting for him in heaven). So now any request I make or even hint to … he jumps. So, I know I cannot stand him, but which other man will obey me like this? Also לא תנאף is no bןg deal. Just a מנהג טוב אזא. stealing is not recommended but במקום הפסד מרובה it is definitely מותר. even recommended. same goes for לא תרצח especially if it’s an עכו’ם. As long as you daven 2 to 3 times a day ….. you will go straight to heaven. If as you say that ” no one believes one word from this site ” then why are u all up in arms. Take a chill pill. It’s all a lie and besides no one believes a word coming from this site. While I don’t agree with everything posted here. I will say this if the vaad can control the media and censor out all the normal opposition then the reaction will be extreme no adult likes being suppressed. The blame is on ak and his mobsters. I applaud jleaks for posting your comment and not following in the footsteps of the controlled media the vaad enforces . Don’t blame the reaction you need to blame the actions taken by the vaad. Maybe he has on dirt her too?